How to protect floors and carpets during relocation? Home > How to protect floors and carpets during relocation? The moving day can be quite hectic and stressful. That is why sometimes various damages can happen. Presenting any damage to your current residence should be a priority. You don’t want to lose a substantial sum of money before moving into a new home. Landlords inspect the property after you move out and they will keep your deposit money in case they have to make some repairs. To avoid losing money and stress find out how to protect floors and carpets on a moving day. Make sure to protect your landlords home on a moving day. The best way to protect floors and carpets during your NYC relocation is to hire one of best Manhattan moving companies for your relocation. Movers with years of experience know how to handle heavy and bulky furniture pieces without damaging any service in your home. Quality movers undergo special training and they use professional equipment to avoid property damage of any kind while they load your belongings and boxes onto the moving truck. Movers with skill will use various techniques to guarantee that your floors and carpets stay intact and safe during the move. Quality moving companies usually offer a free moving quote. That is the estimate of the moving costs. The company sends the representative to your home to do the estimate. After accessing the actual costs, he will also access the potential moving day difficulties. While the professional mover is in your home, make sure to ask him about the measures he will take to protect floors and carpets of the moving day. Quality movers will surprise you will the level of professionalism while handling difficult situations. Movers that prepare in advance for protecting your home while moving will use quality moving boxes Manhattan to protect your belongings. With the professional moving equipment and packing supplies, your movers will keep your home safe. They will lower the chances of damaging any surface while moving, packing or transporting your belongings. When you have to move an expensive instrument like your concert piano, consider hiring a reputable piano moving company in NYC. Reliable movers will know how to avoid damage to your floors and carpets while moving this bulky and heavy instrument. If you are trying to save your deposit money, keep all of the surfaces in your landlords home safe. Consider letting professional movers disassemble your instrument and pack it accordingly. This way you will avoid scratching floors or damaging carpets while trying to move it by yourself. Protecting your carpets and floors might be tricky on a moving day. You should know what to avoid on a moving day and protect your landlords home. The best way to protect your carpets is to remove them and pack them before the moving day. Don’t drag the furniture – You should never drag furniture long the floors and carpets. If this happens you may damage the flooring That way you will end up with scratches, dents or broken tiles. You can carry lighter moving boxes and furniture pieces. Also, if you have lighter furniture pieces that are bulky and robust, use furniture sliders or rubber wheel dollies. If you have to move heavy furniture pieces, make sure you have someone to help or let the professionals do the work for you. Use furniture blankets – it is important to have professional packing and protective supplies on a moving day. Most people don’t realize that you have to cover the edges of furniture pieces. 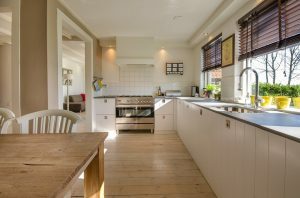 Kitchen appliances and big heavy items should be covered and protected while taken out of your home. Covering the edges will protect your doorways and halls. On the other hand, you will avoid damage even if the heavier items land on the floor. New sturdy moving boxes – Make sure to use new and sturdy moving boxes. They can easily withstand the weight and they are more secure. When using free or used moving boxes, try to be extra cautious. It is best to reinforce the moving boxes with quality packing tape. Reinforcing the bottoms will ensure that the contents don’t spill out and damage the floor. Use furniture sliders – Furniture sliders are the great way to move heavy furniture across the hardwood Quality furniture sliders are very resistant and they minimize the friction between the object and the floor. Place slider under the legs of your furniture and push gently. Rent or buy dollies – All kind of dollies with rubber legs are a great help on a moving day. They protect floors and carpets and they are quite convenient for moving heavy items without making any damage to the wooden floors. You can rent dollies from your movers. Use doormats on a moving day – Doormats will prevent dust, mud, and water from damaging your floors and carpets on a moving day. Consider using doormats if the weather is bad on the day of the move. Put on shoe covers – and protect the carpets and floors while moving. If you have someone helping you, encourage them to wear covers for shoes. Use cardboard boxes to protect floors in your home on a moving day. The plastic film can be a solution – If you are moving by yourself, consider protecting your floors and carpets with plastic coverings. They serve as a good insulation layer and protect from the dirt and the shoes while loading the boxes onto the moving truck. 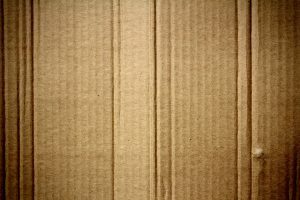 Cardboard – The good solution for protecting the floors and carpets on a moving day is a cardboard. You can take it apart and cover all of the floor surfaces in your landlord’s house. Consider putting two layers of cardboard when moving heavy items for additional protection. On the other hand, you may always have leftover boxes from packing. If not, it is the cheapest option for protecting your home. 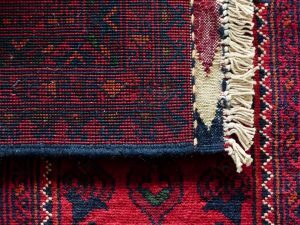 Remove carpets – It is best to protect your expensive carpets during your relocation and remove them. This is the easiest way to protect your carpeting on the day of the move.